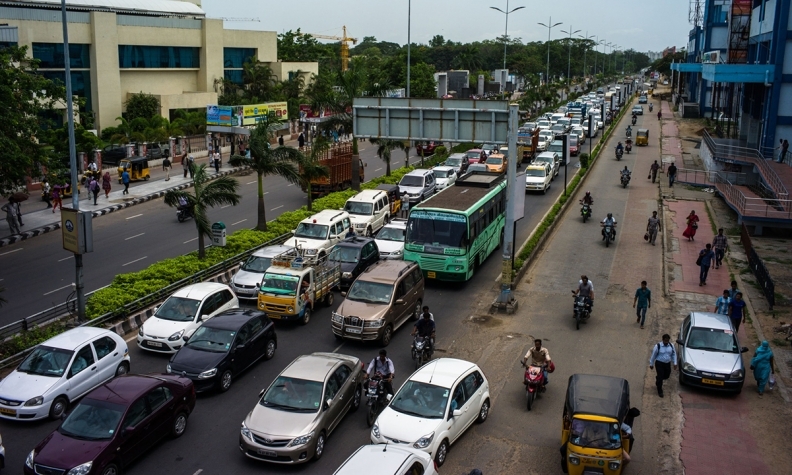 India has pushed back a deadline to put thousands of battery-driven cars on the road by nearly a year, in a setback to its ambitions of having electric vehicles account for about a third of its fleet by 2030. State-owned Energy Efficiency Services, which is responsible for procuring EVs to replace the gasoline and diesel vehicles used by government officials, will roll out the first 10,000 vehicles by March 2019, Saurabh Kumar, the agency's managing director, said. Energy Efficiency Services issued its first tender for 10,000 cars in September. It planned to roll out 500 cars by November and the rest by June. "The need for building more charging points for 10,000 electric cars and states being slow in taking deliveries are the reasons for the delay," Kumar said in a phone interview. There are about 150 cars in the capital New Delhi and about 100 in southern Andhra Pradesh state and other provinces as of now, Kumar said. Of the about 200 charging stations built for these cars, more than 100 are in Delhi. Prime Minister Narendra Modi's administration wants to have more than 30 percent of vehicles run on electricity by 2030 in a bid to lower air pollution and curb reliance on fossil fuels. Cheap fossil fuel-driven cars and an absence of state subsidies for EVs make purchases by the government and companies critical for EV sales, according to BNEF, which expects EVs to account for about 7 percent of sales in India by 2030. "These tenders are the largest drivers for EV demand" during the next three to five years, according to Allen Tom Abraham, a BNEF analyst in New Delhi. "If these large procurement programs falter, automakers would prolong any plans they have to introduce mass market EVs in India." Tata Motors and Mahindra & Mahindra, which had emerged winners in Energy Efficiency Services' first tender for electric cars, didn't immediately respond to requests for comment. The government agency issued a second tender for 10,000 cars this year. Kumar said, "I have demand for 19,000 cars today and if I don't get more, there won't be a third tender."